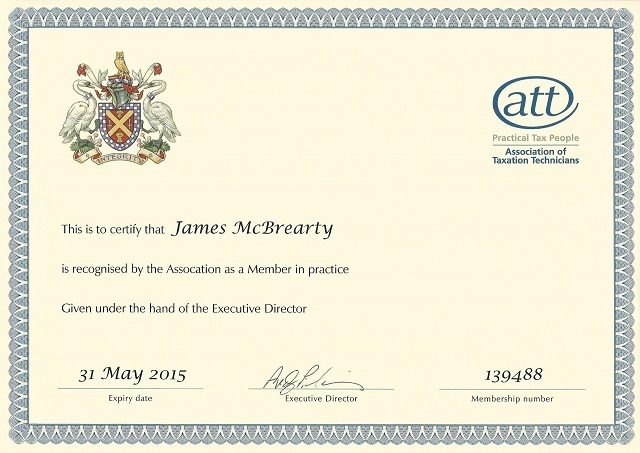 As you may know, James McBrearty and taxhelp.uk.com are registered in practice with the oldest and largest professional body involved with UK tax compliance, the ATT. Members of the ATT have to keep up prescribed amounts of continuing professional development (CPD). Under the registration in practice scheme, appropriate levels of PII cover are required to be maintained. Clients who know that their tax affairs are in the hands of qualified staff are reassured about the firm’s competence.